Every year, France continues to be among the most visited countries in the world. France has a lot to offer including many of the world’s most popular landmarks and tourist spots as well as the legendary French cuisine. Before planning your trip and packing your bags, however, you should know that France has a very rich and unique culture. To fully enjoy it at its finest, you need cultural insights and the right dose of tourist tact. Below are 10 do’s and don’ts to help you become an ideal tourist in beautiful France. 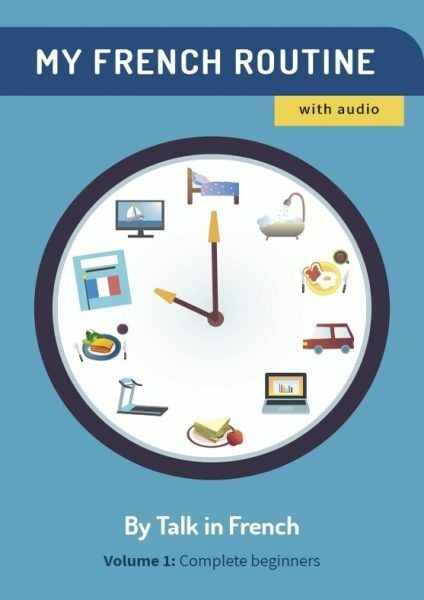 Whether you’re off to France for the weekend, for a week or for a month-long rendez-vous, you should never forget to pack with you some basic French words and phrases. Remember that you’re in a foreign land and while many French people speak English, you’ll never know when the phrases will come in handy. Je ne parle pas francais– I don’tspeak French. En anglais, s’il vous plait – In English, please? When in France, you should know about how the French people say hello. In Paris, it’s expected for friends to greet each other with a kiss while strangers shake hands. They also kiss when saying goodbye and it’s not just any kiss either. It’s usually a double kiss on both cheeks. When visiting small villages, expect to see complete strangers greet each other “Bonjour!” on the streets but never in Paris or in big cities. In fact, if you try to greet French people on the streets of Paris or Lyon, you’ll rarely, if not never, get any response in return. No matter how friendly you come off, the French are not the type to get comfortable with strangers. Because you’re going to France where Paris is the fashion capital of the world, you need to turn up your fashion sense a notch higher. Never wear sweatpants or short shorts when strolling through the streets of Paris. More importantly, never wear aforementioned clothes when dining in restaurants. Rarely will you see people in France in their gym clothes or jeans, shirts and flip flops. French people don’t go overboard but they do love stylish and sensible clothes and shoes. They love the colors black, navy and grey, and they don’t go big with accessories or make-up. For more tips on what to pack for France, check this article. You’ve never really gone to France until you’ve paid the iconic and world famous Eiffel Tower a visit. For tourists, it is some sort of ritual, an unspoken rule that you should do as proof that you’ve indeed stepped foot in Paris. Don’t just settle with looking at this gorgeous structure from afar or from your hotel room. Nothing compares to the sensation of reaching the pinnacle of this tower. Explore it by going up to the top by taking the lifts or stairs. All in all there are three lifts, and they are located in the North, East and West pillars which will take you up 15 m high. If you really want to go to the very top at 275 m, you need to change lifts at the second floor. In case you’re up for some serious exploring, take the stairs. This way, you’ll experience the tower in every angle and view. And in the spirit of today’s selfie generation, you should take advantage of the opportunity TO take a photo. When you get home, just show your family and friends the photo. Words are no longer needed because the photo will speak for itself. Another must-do in France is to take a ride on the metro ideally at night when the views are majestic and the city is sparkling with its lights. It is also one of the best ways to feel like a local. Just remember that the metro does not run 24/7. So if you’re planning some late night travelling which necessitates riding the train in the wee hours, better check the schedule first. Aside from minding the schedule, you should also remember to hold on to your ticket until the exit station. Losing your train ticket will prompt the Metro Police to fine you €35 on the spot. Not good! When you’re not riding the metro, you should try the bus, too. It’s less crowded than the metro and it provides just as endearing scenic views while on the road. Bus stops are pretty much all around the city so you might as well try it to feel and look more local. If you have a small fortune allotted for shopping, good for you! If you visited Paris for the sole purpose to shop till you drop, even better. The city is like a mini world full of all kinds of boutiques including luxury and designer stores as well as sprawling chain stores. In other words, you’ll pretty much find everything in Paris. Yes, including bargain finds for budget shoppers and high-end haute couture for the rich. However, don’t expect stores to be open 24/7. Though rare, there are some stores which close during lunch hour (noon to 2:00 PM) and also on weekends. If you’re up and ready for a day of shopping, some of the best streets to explore are Rue de Rivoli, Boulevard Haussmann, Rue St Honoré, Avenue Montaigne and Boulevard Saint Michel among others. When entering stores or restaurants, you should say “Bonjour Monsieur” or “Bonjour Madame”. It’s the French’s way of greeting shopkeepers and staff. For tourists, the greeting is a great way to break the ice and to lighten the mood. Don’t just barge in but be mindful of the people around you. That way, you’ll feel more welcome and who knows, you might gain a friend or two along the way. As one of the world’s sought-after gastronomic destinations, France has the most delicious, sumptuous and mouth watering food selection as discussed in detail by our 50 French Food for All Seasons article. Before indulging though, it’s proper etiquette to learn basic French table and dining manners. Once seated, immediately place your napkin in your lap and keep your hands on the table while elbows are off the table during the meal. You should also note that wine glasses are filled only ever half way and never to the brim. Bread is broken and never cut. Salad is folded using your fork and never cut with a knife or fork. When eating fruits, peel and slice it first. When slicing cheese, do not do it off the point. Coffee and tea are often ordered for breakfast but seldom for other meals of the day. If you must drink one for lunch or dinner though, you should order it after dessert and not with your dessert. Finally, eating on the go is never appreciated in France though this is gradually changing. The French still prefer and love to take time to savor every bite and sit when eating. If you want to experience what all the fuss about French cuisine is, you should follow their lead. If you happen to make some friends while in France, lucky you! Some French people love to invite guests over but don’t expect a grand tour, especially in the kitchen. But when you do get invited over for dinner or a party, remember to bring a token of thanks to your host. Bring a bottle of wine or a bouquet of flowers as a gift and make sure to arrive on time and dressed up. When seated, do not start eating until your host says, “Bon appétit!” Keep in mind proper dining manners as mentioned above and the biggest compliment you give your host is to finish everything on your plate. Unlike in America, tipping in France, particularly in Paris, works out differently. When dining in restaurants and cafes, the tip is already included in your check as required by French law. It is the 15% service charge or “service compris” you see in your check. Giving a little extra tip to your waiter, however, is highly encouraged and appreciated. You are not obligated to do so but it’s common courtesy nonetheless. Giving tips to taxi drivers, restroom attendants, and usherettes are also encouraged. An extra tip doesn’t have to be big, just a couple of euros as your way of saying thank you. To fully enjoy the beauty that is France, loosen up and live a little. Even if it’s your first time in the country, you have nothing to worry about if you bring with you an adventurous spirit. This is your time to explore and have fun. So, go ahead and just do it. Remember we are talking about France here, one of the most traveled and loved destinations in the world. Might as well enjoy every minute of your vacation even if you can’t find your way and get lost at some point. Shop to your heart’s content, explore both the tourist and non-tourist spots and of course, eat a lot. And make some friends too while you’re at it! By all means you should express your opinions. After all, French people love a good debate once in a while. But as a tourist and not a local, it makes perfect sense to stay clear from sensitive topics such as politics or religion especially if you’re not exactly well versed with the subject matter at hand. Rarely do the French advertise their religious beliefs and as common courtesy, you are expected to do the same. You should also shy away from bringing up topics that stereotype the French people in a bad way. Try not to talk about French military or any other anti-French feelings. Instead talk about sports, fashion or anything that’s interesting yet without the dangers of leading the conversation to a level of awkwardness. As a country who love to savor their food, their drinks and their time with friends, do not expect the service to go efficiently when in restaurants or cafes. You may be used to the American way of grabbing your coffee or lunch on the go, but that’s not at all the case in France. Just like Americans, French people love their cup of coffee but rarely, if not never, will you see someone buying it to go. More than enjoying their drinks, they love the social aspect of dining in cafes and restaurants. Because people in France are not in a rush, you will notice that service is slower which may irritate you if you’re used to a fast service. However, since you’re the tourist, do not complain about long lines or long waits when buying your coffee in cafes. When exploring the city, walk as much as you can and stay away from cabs. If you can, do not take cabs at all. But if you must ride, take the metro or the bus instead. Not only are cabs expensive in France but they also take the joy and fun out of strolling leisurely. Paris, for instance, is a lovely city, which spans over about 6 miles. You can walk from one landmark to another without trouble, or you can take the metro to one Metro stop then walk again. If you’ve ever seen the movie Midnight in Paris, you’ll see how beautiful Paris is at night. And you can only truly enjoy the city’s sparkling beauty and mesmerizing views if you stroll and wander through the city streets. Paris, after all, is created and designed especially for pedestrians. Looking for more ways to get around in Paris? Check out the article 12 Fun Ways to Get Around In Paris. This particular “don’t” is pretty universal. Talking loudly whether in a restaurant or in a subway is frowned upon in France just like in most countries around the world. It’s not only rude and offensive but it’s distracting for other people. Remember, you may be on vacation but others are not. It’s understandable that your excitement is at an all time high but that’s not an excuse to babble and talk loud especially in public and crowded places. When riding the metro, always keep it down, as most people riding are locals who may have come straight from work and hence will be tired. When in restaurants, you should tone down the loudness down even more. French restaurants are often subdued and relaxed in atmosphere. Your loud talking will not fit in at all. One thing you should know about French people is that many speak English but they are not very good at it. When you speak with a Frenchman in English, don’t be surprised if you’re not getting any response. That’s not them being rude but them preferring not to look like a fool. When speaking with a Frenchman for the first time, try using some of the French phrases and words you’ve packed with you. You can start with saying “bonjour!” to break the ice then add some more French words. Even if you mess up the pronunciation, that’s perfectly fine. They’d still appreciate the effort and if they sense that you’re in trouble finding the right word in French, some will come to the rescue by talking to you in English albeit bad. Because French cuisine is in a league of its own, you should avoid ordering just one dish when dining in restaurants. Since you’re in a land where gastronomic pleasure is at the heart of its culture, you should go all out and indulge in a full meal which usually includes multiple courses. Make sure to put aside enough time to enjoy and savor every course. The classic dining experience would typically last two to three hours and consist of a three or four course menu including a starter (une entrée), main course (le plat principal), cheese course and dessert. For evening dining, it may take even longer as it may include five or six courses. You should know that dining out in France is not just about eating to satisfy your hunger. It is an event in itself which many restaurants in France adhere to. In America, the service is faster because people are always in a rush and people also expect ice when they order their drinks. When you’re in France, however, it’s a different story altogether. Whether you’re ordering soda or any other drinks, don’t expect it with ice. French people or Parisians in particular are not fond of adding ice to their drinks, which means cafes and restaurants do not provide ice. Do not complain or demand ice. You won’t get some anyway. Instead, just enjoy how refreshingly fancy or wonderfully chilled your drink is even without ice. Ever heard the statement, “the customer is always right”? That’s true in America but not always in France, particularly in Paris. French people tend to stay in one job for the duration of their professional lives which essentially makes them experts at what they do. When restaurant staff, for instance, deem your viewpoint incorrect, said staff consider it their duty to correct you. Say you ask for your food to be prepared in a manner that deviates from what the chef recommends, expect to hear an explanation on why the chef’s way is better for the flavor of the food you ordered. I’m not saying that you can’t voice your opinion or order what you want. It’s just the French way of doing things and since you’re in France and not on your home turf, you might as well listen and trust that they know what they’re talking about. It’s only natural for tourists visiting France to hit up the popular tourist spots and destinations. After all, how can you not when these awe-inspiring and jaw-dropping sights are what make the country? Among the the first iconic spots to visit are Chartres Cathedral, Dune of Pyla, Palais des Papes, Chateau de Chambord, Gorge du Verdon, Mont Saint-Michel, Palace of Versailles and of course, the world famous Eiffel Tower. Once you’ve had your fill of the popular sights, you should veer away from common tourist itineraries. You can experience France your way by exploring the uncommon tourist paths. That would mean heading to villages and towns where traditional French charm abound. Get to know the locals and mingle with them to truly immerse yourself in the country’s culture. With so many do’s and don’ts to remember, it might get overwhelming at some point. You don’t have to memorize each one. Don’t be intimidated or frightened of the rules. At the end of the day, you just need to be yourself in order to fully enjoy France. The key is to show just the right amount of respect to the culture, ways and traditions as with every country you visit. Once they see that you are committing faux pas because of lack of information while still remaining tactful, the French people will be more likely to disregard your mistakes. Also worth remembering is the fact that the French are less direct than Americans. To know if you’re being a good tourist like you should be, look out for hints like absence of approval. Normally, that’s how the French people convey disapproval. There you have it! 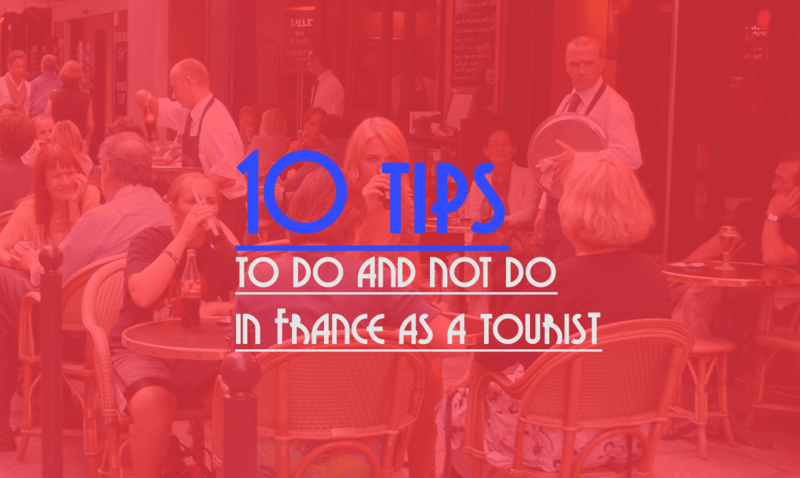 10 Do’s and Don’ts that you should get acquainted with before visiting France. These are not rigid rules that you should live by whilst in the country but you should see it as a collection of tips to help you enjoy and explore France to fullest. P.S. You would be doing me a HUGE FAVOR by sharing it via Twitter, Facebook, Google + or Pinterest. P.P.S: And you? Have you ever experienced a faux-pas in France? Please share your experience in France as a tourist in the comment section.